Kaingo’s solid conservation ethic, coupled with a very limited lodge footprint, sets it apart from high traffic reserves where there is an ever increasing conflict between conservation and economic objectives. The high capital and operational costs associated with setting up and running a game reserve, in most cases, hampers the private sector to deliver on the opportunity of being real custodians of nature. This is due to the dependence upon securing an acceptable financial return in the immediate to short-term. In too many reserves the approach is to over stock with wildlife to improve the game viewing product for guests. 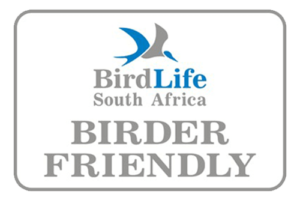 Consequently, biodiversity objectives are frequently compromised in order to satisfy short-term game viewing demands, especially as it relates to the Big Five. Inappropriate management practices to support the unnaturally high game viewing demands have resulted in severe habitat deterioration in numerous reserves across the country. This trend has been greatly exacerbated by the increasingly competitive nature of the upper-end game lodge industry, and the apparent conflict between the economy and ecology of ecotourism threatens to undermine its promise as a sustainable land-use practice for private conservation areas. This conflict almost certainly represents the single biggest challenge facing conservation. Kaingo’s wildlife stocking rate is carefully monitored and sustained in a natural way offering a well-balanced and natural eco-experience. As a benefactor of its owner’s conservation objective Kaingo does not rely directly on tourism income for its financial security. This fortuitous position provides Kaingo with an opportunity to take a longer-term approach to ensure the ecological integrity of the reserve going forward and an associated tourism product that retains its vitality ad competitiveness well into the future. Kaingo is PROUDLY CONSERVATIONIST and since its raison d’être is focused on habitat restoration and wildlife conservation, sustainability is an integral component of every decision made at the reserve. A team of experts carefully manages ecological systems to restore the Waterberg’s natural ecosystems to their former biodiversity. As part of their experience, guests have the opportunity to learn about the diverse habitats and wildlife of the bushveld savanna. This helps support the ongoing efforts at Kaingo to preserve the surrounding ecosystems for future generations.